Maleficent is Disney’s latest attempt to rework one of their classic animated features in a live-action film. This one tackles Sleeping Beauty. Unfortunately, despite some nice special effects and a good lead performance, it ultimately falls short. Basically, the film tells the Sleeping Beauty story from Maleficent’s point of view. For those unfamiliar with the tale, Maleficent (Angelina Jolie), widely recognized as the greatest Disney villain of all, puts a curse on the Princess Aurora (Elle Fanning) when she’s a baby. The curse calls for the girl to fall into a deep sleep like death upon her sixteenth birthday when she pricks her finger on a spinning wheel—it’s a very specific curse. The film isn’t all bad, though. The special effects are mostly good, with just a few moments of bad CGI. The way Maleficent’s curse plays out is also good. Since this is a loosely “more realistic” way to treat a fairy tale, you would think that Aurora’s protectors would chain her up in a room until her fateful sixteenth birthday passes. However, Maleficent’s curse actually works to make the prophecy come true, which I thought was pretty cool. We’ll ignore the fact that Aurora ends up being more “Napping Beauty” than “Sleeping Beauty,” though. Angelina Jolie does a good job in the role, but honestly, I enjoyed her performance much more when she was being bad, and we don’t get nearly enough of that. Sam Riley is good as her henchman, Diaval, and Fanning is fine as the teenaged Aurora. Sharlto Copley is fairly one-dimensional as King Stefan, clearly the villain of the piece. The three fairies who watch over Aurora and raise her (Imelda Staunton, Lesley Manville, and Juno Temple) are basically the female Three Stooges and it’s a wonder how the girl even makes it to see sixteen. Overall, Maleficent is just okay. It’s a pretty movie that tries to give the Wicked treatment to Sleeping Beauty, but is very obvious and ham-fisted in its attempt. 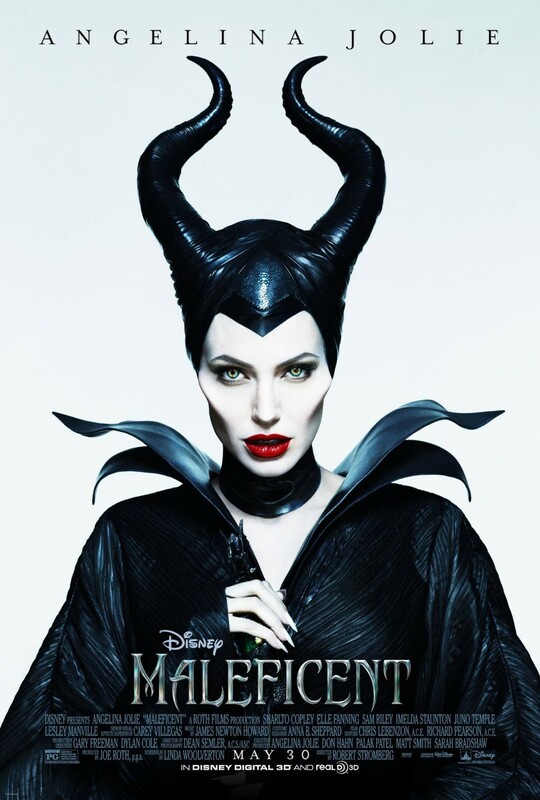 Jolie gives it her best, but her talents are largely wasted here since Maleficent never truly lives up to her name. This entry was posted in Movies, Reviews and tagged Angelina Jolie, Disney, Elle Fanning, Film Reviews, Films, Hodgepodge, Maleficent, Movie Reviews, Movies, Podcast, Reviews, Sleeping Beauty, Summer 2014. Bookmark the permalink.